Is your investing strategy “buy and hold”? Many flippers start their cash flow out that way; purchase a house, fix it up quickly and start renting right away. Seems like a smart move since many new studies are showing that renting is the way to go for more and more American families. But why is the renting market becoming so hot? 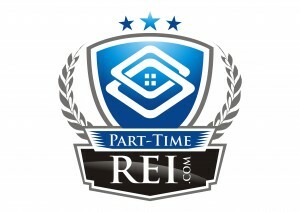 With families needing the space of a home but not being able to afford one or unwilling to commit to a mortgage, there is ample opportunity for investors to make money in the rental industry Many investors are buying up houses and converting them into rentals, and government policymakers say it makes sense to encourage this. A smart investing move is flipping affordable rental units that not only help with your cash flow, they could help working families with low incomes, while also helping to revive residential construction jobs in your area. Seems like a win-win situation, right? The rental market is for sure taking off. And you can see the growth with rental property management companies growing too. One company added 5,830 new properties nationwide through the second quarter this year. The rapid growth has been primarily fueled by real estate investors, both large and small, who purchase single-family homes as rental investments. Even though homes seem very affordable now by many official measures, one of the most notable features of post-crash America is the rise of the renter. People who have lost their good credit record, lost their confidence in the housing market, or lost secure jobs have been shifting from being owners to renters. Young people who in prior decades might have been buying first homes are living with parents or renting. While this is positive news for investors, others ask if it is a troubling trend. Despite a sharp plunge in home prices and the conversion of many properties from “owned” to “rented,” the typical family looking to rent has to pay more than 30 percent of its income for a typical apartment, according to an annual survey released Monday. 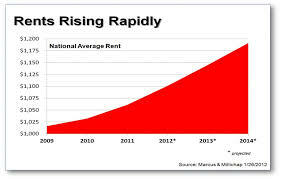 For the 1 in 4 renters who have very low incomes, moreover, it’s common to spend more than half their earnings on rent. By 2010, a US Census measure of homeownership had fallen from record levels of near 70 percent of households to about 65 percent. And even many home buyers could justly be called renters for now because sunken home values have erased any buildup of equity when they make their monthly payments. The pendulum shift is partly a reversion to the norm. But it also hints at a hard reality of housing: Affordability is still a big challenge – even at a time of low interest rates. Renting can have many advantages over buying, the recent surge in demand, rising rents, and falling incomes have caused an increasing number of households to pay a crushing share of their income for housing. What do you think?